Iran plans to boost electricity trade with its neighbours on northwestern, western and eastern borders in the next five years, media reports said on Thursday. Iran has embarked on joint ventures to synchronize its electricity network with regional countries, Zaman Hosseini, deputy manager of Iran Power Generation, Distribution and Transmission Company (Tavanir), was quoted as saying by the Financial Tribune, reported Xinhua. "The more power trade is promoted with regional states, the faster we can emerge as an electricity hub and a key player in both power generation and export in the Middle East," he said. Unlike many neighboring states, Iran has not experienced major blackouts in recent years, thanks to the good performance of the national grid, Hosseini said. Despite high domestic demand, Tavanir has been able to provide subscribers with the much-needed power, he added. Referring to Iran's annual power exports, he said that the country's electricity export is three times higher than imports, adding Iran has become almost self-sufficient in constructing gas power stations and its domestic experts possess the capability of building high-tech power plants, he stressed. 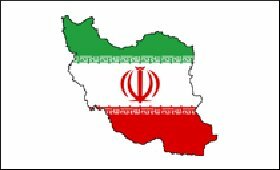 Iran exports electricity to Iraq, and exchanges power with Turkmenistan, Armenia and Azerbaijan. Under swap deals, Iran exports electricity to Armenia and Azerbaijan in winter and imports it when domestic demand soars in summer.